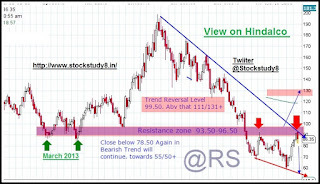 1.According to My View 87-90 zone is good time to exit long. or booked profit. those who entered at lower level. 2.Stock is Re-Testing its 2013 Breakdown Support Level. Check below attached Chart. 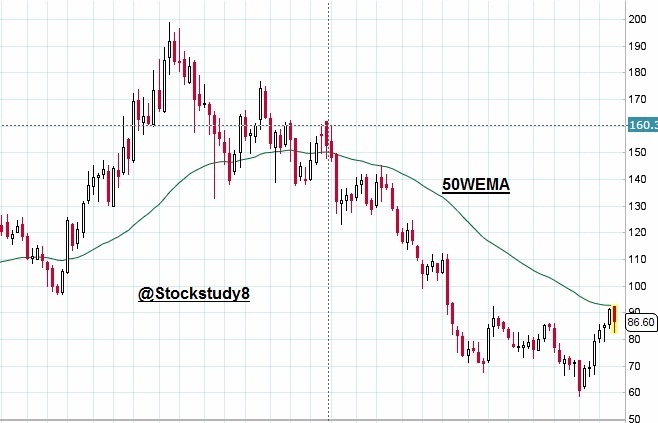 3.Stock is also Near 50EMA in Weekly Chart. 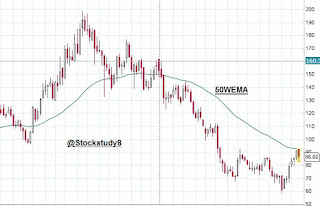 4.Close below 78.50 Again stock again change in Bearish mode. 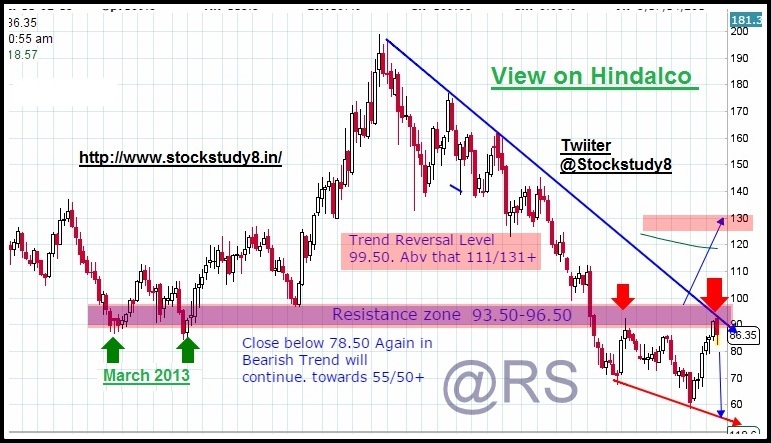 5.Go Long Only Above 99. for target 111/134 & more.